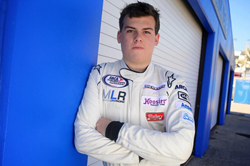 Michael Lira, a 16-year-old Spruce Creek High School student and stock car racer from Port Orange, Florida, heads to Winchester, Indiana, this weekend as the ARCA Racing Series presented by Menards takes to Winchester Speedway for the Herr’s Chase the Taste 200. I can’t let it intimidate me. I’ve just got to go to Winchester with a good, positive attitude, and be as attentive as I can be and learn as much as I can in practice. Michael Lira heads to Winchester, Indiana, this weekend as the ARCA Racing Series presented by Menards takes to Winchester Speedway for the Herr’s Chase the Taste 200. The talented 16-year-old racer from Port Orange, Florida, already has two top-10 finishes this season with Kimmel Racing, and he’ll be looking to add to that count as he tests his skills at the historic Winchester Speedway for the first time. With the exceptions of Indianapolis Motor Speedway and The Milwaukee Mile, Winchester Speedway is the oldest operating speedway in the United States. The half-mile paved oval in White River Township, Randolph County, just outside Winchester, Indiana, was built before World War I and occupies a prominent place in American motorsports history. For Lira, however, the focus is on the now. Lira has a wealth of knowledge at his disposal via his Kimmel Racing team, as well. His crew chief is veteran ARCA crew chief Bill Kimmel, who won eight straight ARCA championships with his brother Frank Kimmel. Lira will also seek the counsel of his teammate and mentor Will Kimmel. This weekend will be all about confidence for the up-and-coming Lira. With five ARCA races under his belt in 2014, Lira’s confidence has grown tremendously. The Herr’s Chase the Taste 200 presented by Federated Car Care is scheduled for Sunday, July 6, 2014, at 2:00 p.m. EDT. The event will be broadcast live on CBS Sports Network.